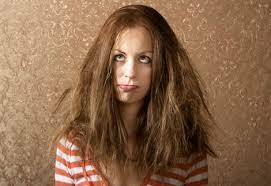 OK it’s not me that’s feeling frazzled, although I have been on the verge of tearing my hair out on occasion! No, it’s my character in my new WIP, which I haven’t actually done anything with since the end of March. For today, the 21st May, I’m sharing 21 lines from my as-yet-untitled WIP. In this scene my MC Rebecca is feeling frazzled. She’s just started working as a teacher at a secondary school (for 11 to 16 yr olds) and it’s tough going. And now her mum and dad want to come and stay. Rebecca can’t bear to have them come; she’s too busy and is feeling the strain. But on the phone to her mum, it’s clear that she just doesn’t understand how stressful teaching can be. Rebecca gets lots of holiday, as her mum sees it, and doesn’t work weekends, so where’s the problem? ‘No, I’m sorry but you can’t.’ Rebecca heard her own voice sounding exasperated and wondered why her mother always had that effect on her. It was six thirty on a Tuesday evening and Rebecca was a couple of weeks into her new job. She was feeling crotchety. There was silence the other end of the phone. Rebecca couldn’t help her last barbed comment – her mother never understood. And she was beginning to think that even if she had chosen the career path her parents had favoured, they would still never understand her. Finally the pause ended. Thank you God! Rebecca mouthed tilting her head up to the ceiling. Then she thought of her sister. To join in with WIPpet Wednesday, just post on your blog anything you’ve written lately. Relate it to the date somehow and then link up with us here. I’m well-acquainted with the world of teachers. Two of my sisters are teachers, and I even did a short stint with pre-K and then some special after school programs for middle schoolers. The work is never done. It’s too bad her mom doesn’t understand that. My parents were both teachers pretty much all their working lives. They retired the year before last and are really glad they did. So having grown up with two teachers as parents, I know the demands that teachers are under. And like you say the work is never done. Anyway, I’m sorry for Rebecca that her parents don’t get it. She’s probably right—they wouldn’t get it no matter what career she’d chosen, unfortunately. I think you’re absolutely right about people earning more than teachers complaining about them. Even my husband doesn’t fully understand how much stress teachers can be under. I think you only realise if someone very close to you is a teacher. Otherwise you just look at all the holidays teachers get and think they have an easy ride, when the reality is so much different. Yes I’m sorry for Rebecca too. She’s been a bit of a disappointment to her parents, but it’s not really her fault – it’s more that they can’t accept her for who she is. Poor Rebecca! My dad was a teacher and I know many teachers. I understand that frazzled feeling. It will be interesting to see how the conflict with her mother continues to play out. Yes, I will develop that conflict for sure. Once I get around to carrying on writing it of course!! I can totally relate! I taught university for several years, and while you don’t have as many hours in the classroom, there’s still tons of preparation and corrections, not to mention conventions to organize and the whole publish or perish thing … I didn’t get a lot of fiction written during those years. Oh absolutely, there’s SO much preparation involved with teaching. It’s not a job you can just leave behind at the workplace every day – it’s full on and there’s always more to do. Never been a teacher myself, but like I said I’m the daughter of two teachers so I know what it’s like. *clears throat, sets up soapbox* Maternal grandmother – college chemistry for 35 years. Maternal grandfather – elementary and middle for 49 years. Paternal aunt – special ed, 30 years. Uncle – ESL/ASL elementary about 15 years. Cousin – middle school, coming up on 10 years. Mother – preschool, briefly. CA BFF – special ed. coming up on 10 years. Self – homeschool, special needs and gifted, with additional experience working with children/adults outside of school, including troubled and disabled kids, 20 years total. Yeah. Teaching is rough work. So not that many people in your family have been teachers then! 😉 Seriously though you’re right, teaching is DEFINITELY rough work. And tough. I’m sure her parents are totally well meaning, but I do feel sorry for her (and her sister) 🙂 Good job! I babysat through my teen years for the four sons of a teacher and a chef. And we unschool (which takes up all, none, and every between point in my time, because unschoolers don’t have a ‘we’re done learning now’ time each day. Ethics at 4am has happened way more than once!). This scene reminded me of being nearly three weeks overdue for my first child, far from family, in Montana. My mother called me from New York to complain bitterly that I hadn’t called her all day and she was worried, and I shouldn’t leave her there so far away and worried, and I’d promised (years before I met my husband or even left New York) that she could be there when my first child was born. (She could have – there are planes and trains and cars, but she didn’t want to travel). You’ve caught that same flavor, here..
(And yes – Jeremiah did get born, a mere 20 days after his due date, and after 27 hours of unmedicated and unproductive labor, by C – section – all 10 pounds, 2 ounces of him!). Ah poor you, that sounds absolutely awful. Sometimes parents can be really unhelpful. Mine are generally great but they have their moments and there are things about them that really annoy me!! Even the most loving families have their “issues”… and it definitely sounds like Rachel’s has theirs. (Though I’ve never been a teacher, beyond homeschooling my son, it only takes looking at all the work that they expect of their students to imagine how much work needs to be done… to deal with the work of each student and then the school administration.). Parents that quite don’t understand? I think we’ve all been there. And now that I’m a parent, I’m sorry to admit, I’ll be on the other end eventually (if I haven’t been there yet). I feel for Rebecca! I fear being her mom! Yes, you’re right, we have all been there. I don’t have children myself, but I can definitely empathise with those who have children finding it a difficult balancing act between being fair and laying down the law sometimes!! Obviously, Rebecca and her parents have moved on from that stage in a sense, but I think the parent/child relationship remains even when you’re grown. My parents can sometimes treat me a bit as though I’m still their little girl – which I guess in a way for them I always will be!! Ah, mothers. We can be so aggravating sometimes! That sense of frustration really comes through in this WIPpet. Love the pic you chose as well – hahaha – I can relate to that feeling! Poor Rebecca! I totally get where she’s coming from. =P Great excerpt, really show the relationship between mother and daughter. Thanks a lot Adrian. 🙂 Yes, Rebecca’s relationship with her mum – with her dad too – is strained because they wanted her to take a certain path in life, but she chose another. Thankfully my own parents aren’t like that!